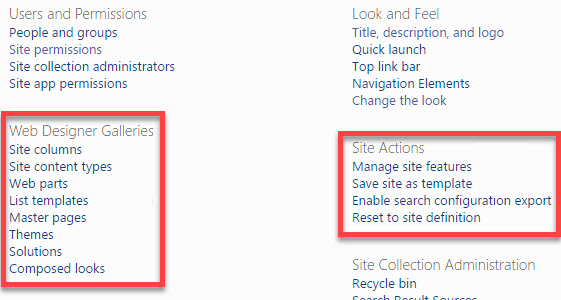 There are two reasons why you might not be able to save a site as a template. In this post I will explain what the reasons are and how you can figure out what is causing your problem. The first reasons is that the publishing feature is activated and the second reason is that custom scripts are not allowed. The most common issues is that the publishing feature is activated on the site or on a parent site. If you are trying to make a template of a subsite this will not work when the parent site has an active publishing feature. I have never run into problems when using this method for subsites. However be careful it is not supported by Microsoft for a reason. I don’t recommend using this so called solution, you can run into all kinds of issues. I do however want to mention this because you can find this all over the internet being claimed as an actual solution. I also don’t recommend using this so called solution, you can run into all kinds of issues. I do however also want to mention this because you can find this all over the internet being claimed as an actual solution. If publishing is not activated, it is possible that custom scripting is not allowed on the tenant level. 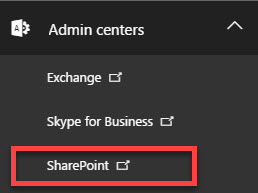 You can see in the SharePoint Admin Center if its allowed or not. If you don’t have permission to do this you can also check it by using the following method. Do you see the following options? Then custom scripts are not allowed. Do you see the following options? Then custom scripts are allowed. Click on Settings and go to the Custom Script section. It might take up to 24 hours before you can now save the site as an template.